4 Key Signs Low Oil Prices Are Here To Stay - Ellen R. Wald, Ph.D.
After the price of oil managed to climb back to $60 a barrel from a low of $40, it is now back under $50. Will oil prices recover as quickly this time around? Four key financial and economic factors indicate that a recovery is not in the cards anytime soon. Energy firms like Halliburton [NYSE:HAL] Baker Hughes [NYSE: BHI], Chevron [NYSE:CVX], and ConocoPhillips [NYSE:COP] are announcing layoffs and making plans for jobs cuts later this fall. Idling wells, postposing projects, and laying off contract site workers are all appropriate responses to a short-term drop – and firms made these cuts almost immediately after OPEC’s decision to cut prices in November 2014. This time around, however, the layoffs are hitting geologists, engineers, and corporate headquarters, meaning cuts are hitting the strategic and long term plans of the company. Chevron plans on eliminating 1,500 jobs worldwide along with an additional 600 contractor positions. Oil service companies Halliburton and Baker Hughes recently announced that they actually cut double the number of jobs they had previously anticipated cutting, and ConocoPhillips plans to lay off personnel this fall. These are not just signs of a temporary scale down in operations but rather serious corporate belt-tightening designed to cut costs for the long term. The ink on the nuclear deal is barely dry, but stored Iranian oil has already left the Persian Gulf for African customers. Although Iran’s oil industry will take significant investment and time to return to full export capacity, the expectation of growing Iranian oil exports on top of an already overwhelmed market will continue to depress oil prices, especially from speculation. Even if American oil production continues its incremental decline, the constant trickle of news about foreign investment in Iran’s oil industry will keep speculator oil prices depressed well past Iran’s planned oil and gas investment showcase in December, 2015. Wall Street Banks are pressuring oil companies to raise more equity or make serious changes to free up additional cash now, all in anticipation of the biannual reevaluation of credit lines and loans coming in October 2015. Even large firms like Chesapeake Energy [NYSE:CHK] must face up to this reality. Chesapeake recently announced it would eliminate its annual dividend. This move freed up $240 million but also sent share prices tumbling to 12 year low. This kind of pressure from banks is a significant departure and indicates that those controlling the purse strings don’t have much confidence in oil prices generating profits for oil companies. This oil giant does not seem to care what the price of oil is. It just keeps on pumping, selling, and more importantly, refining away. 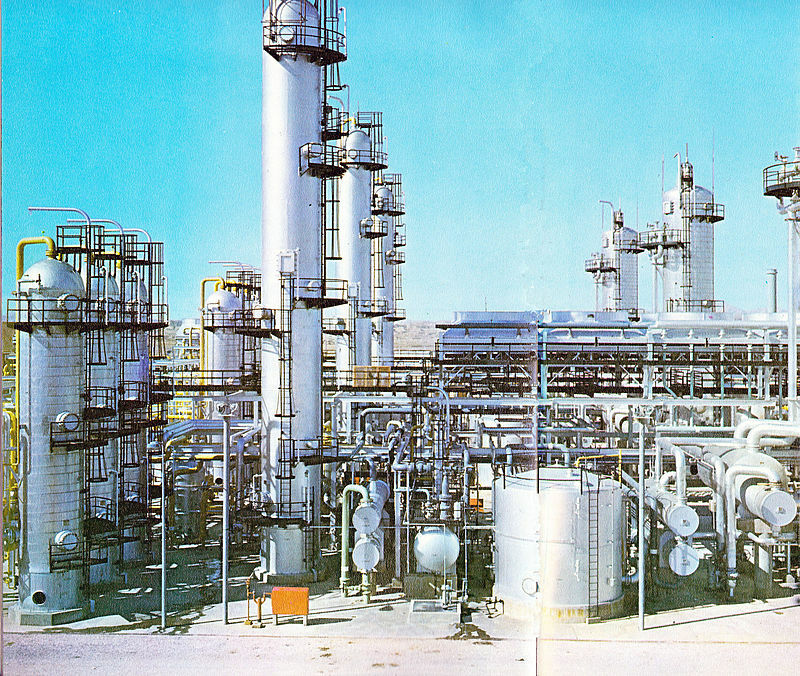 Saudi crude oil production rates remain at record levels, but the real sign that low oil prices are here to stay is the growth of Saudi Arabia’s domestic refining sector. Rather than simply export all that low priced crude oil at low market value, Saudi Arabia is keeping significant amounts of its expanded crude production at home to refine into gasoline, diesel, and petrochemicals – all at its new facilities inside the Kingdom. Cheap oil is a boon for the refining industry, and Saudi Arabia is now well positioned to take advantage of that. Given the extent of its investment in downstream facilities, the Kingdom views refining as a long-term moneymaker.